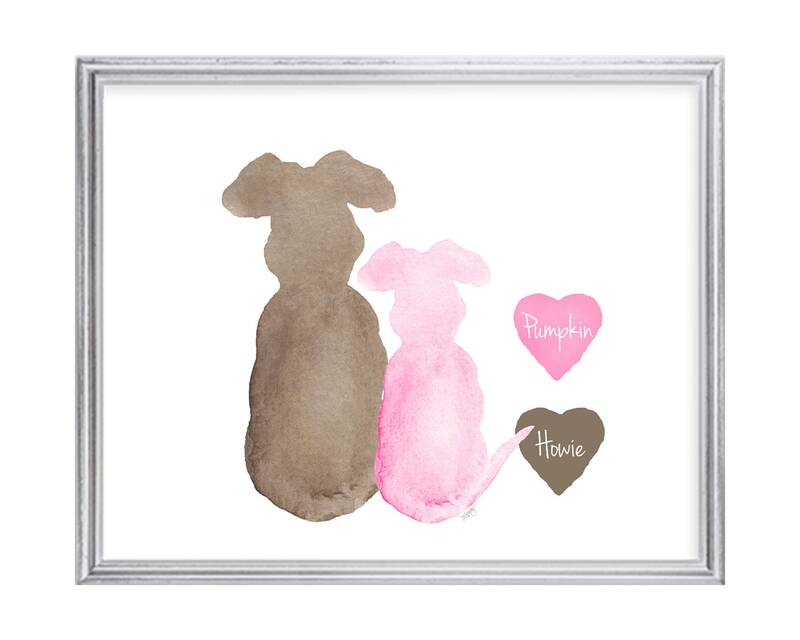 A sweet art print to commemorate or celebrate beloved companions. 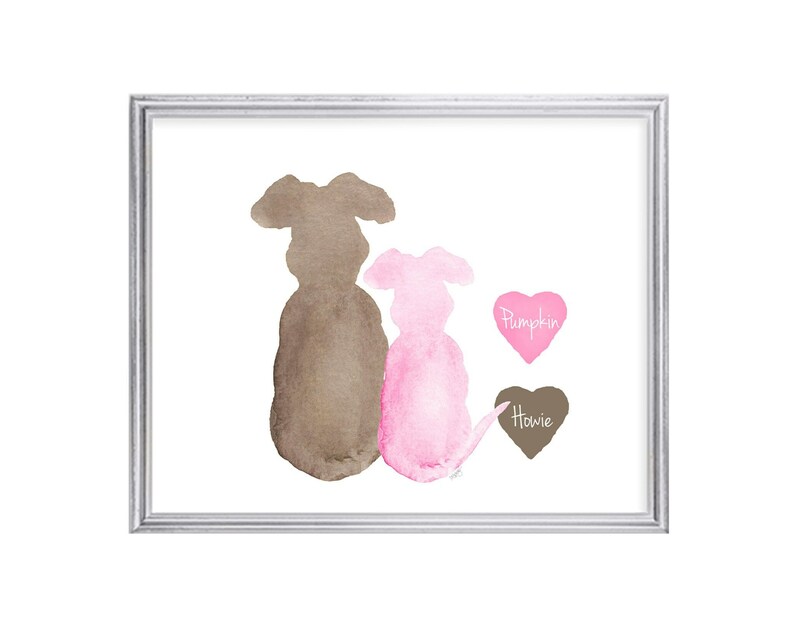 This version features two dogs; a big and a little. This print is recreated from my original watercolor paintings. 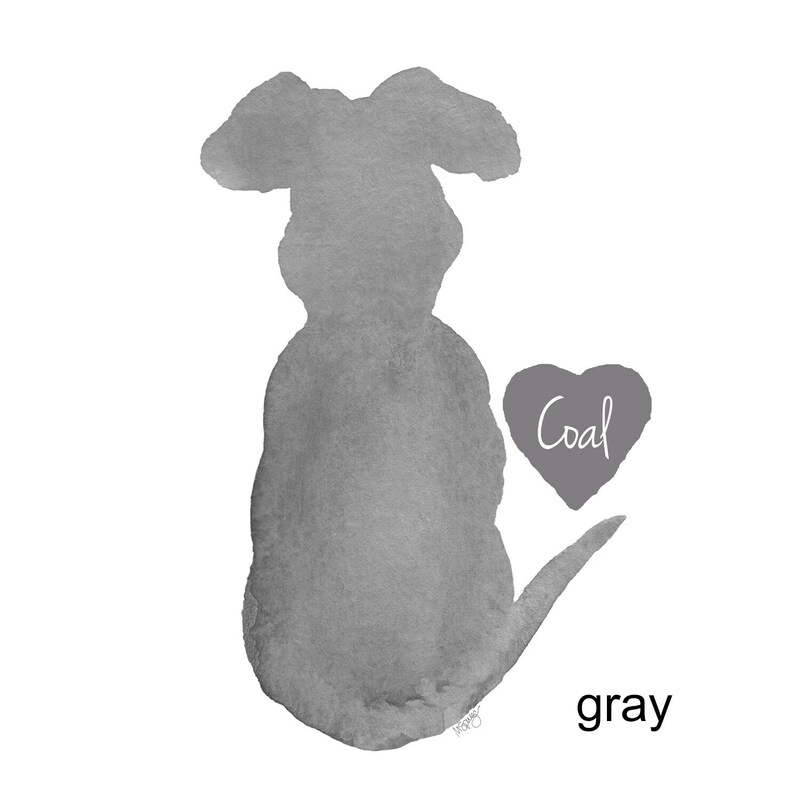 Please add the name for each dog referencing the color in the notes to seller section at checkout. Eight colors are available. Please use the pull down menu at the top right to choose the color. I'm sorry but I cannot do breed specific dogs. *** If you would like to request anything different than shown in the listing (i.e. change size of animal) please contact me prior to purchase. There will be a small up charge and I will make you a custom listing. Just drop me a note with your requests and I will get back to you with the design charge. 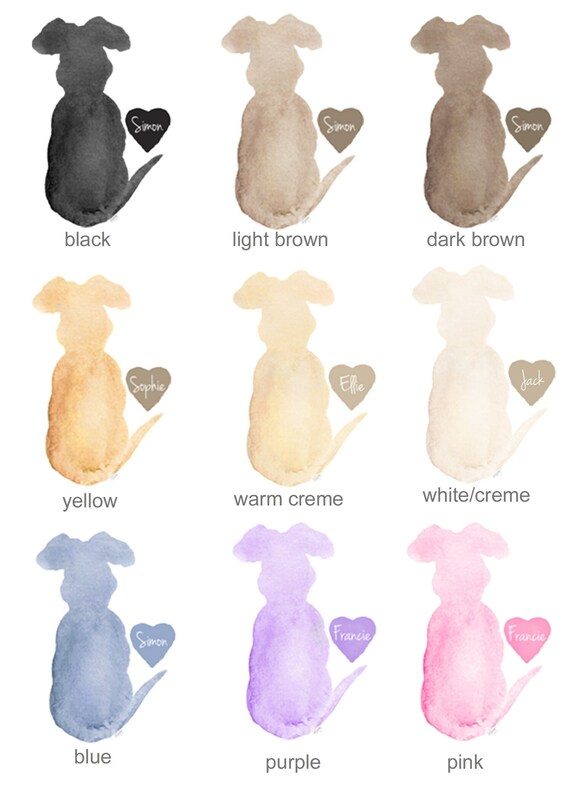 I cannot do specific breeds. Thank you! Print arrived quickly and was packaged very nicely. I love how it turned out! Beautiful print. Made my mom cry. Fast shipping and looks just like it does online.